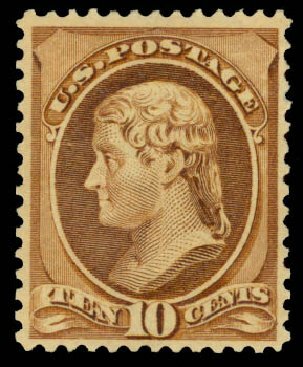 USA (Scott 209) 1882 JEFFERSON BANKNOTE 10¢ BROWN Exceptional stamp, fresh, rich color, full original gum, previously hinged, extremely fine. (1968 PF Cert #27,982) Cat $160. 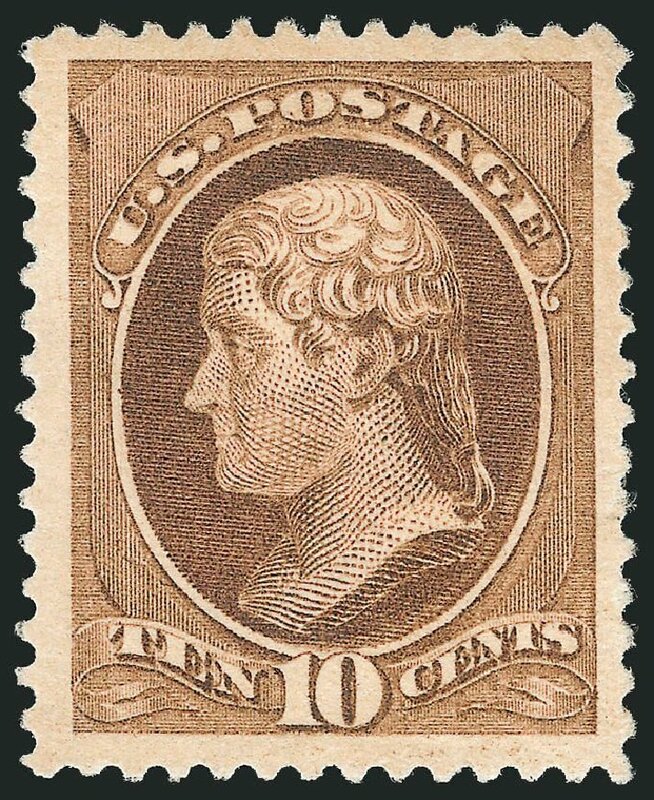 U.S.; General Issues, 1882, 10¢ Brown, Re-Engraved, #209, l.h., immaculate and Very Fine, PF (1998) cert. 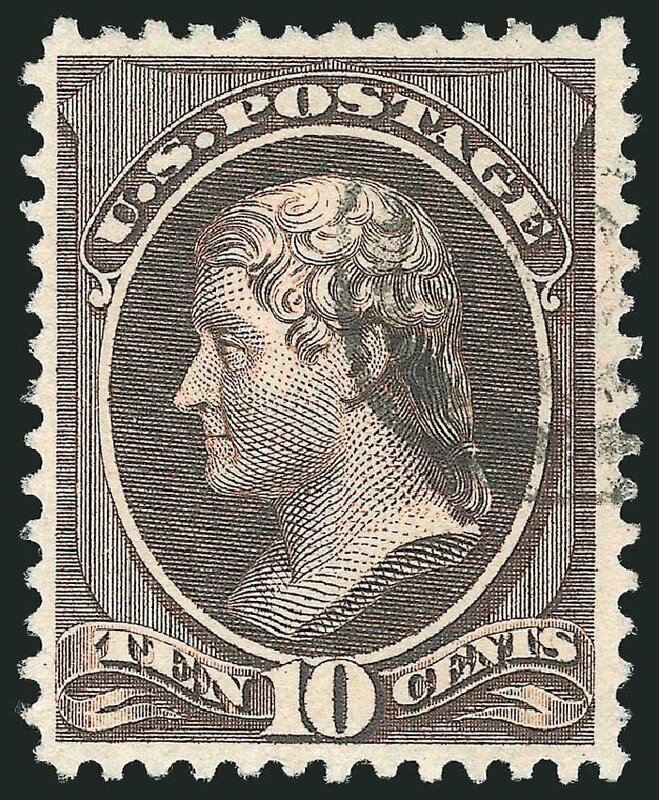 Scott $160. Estimate price $150-200. 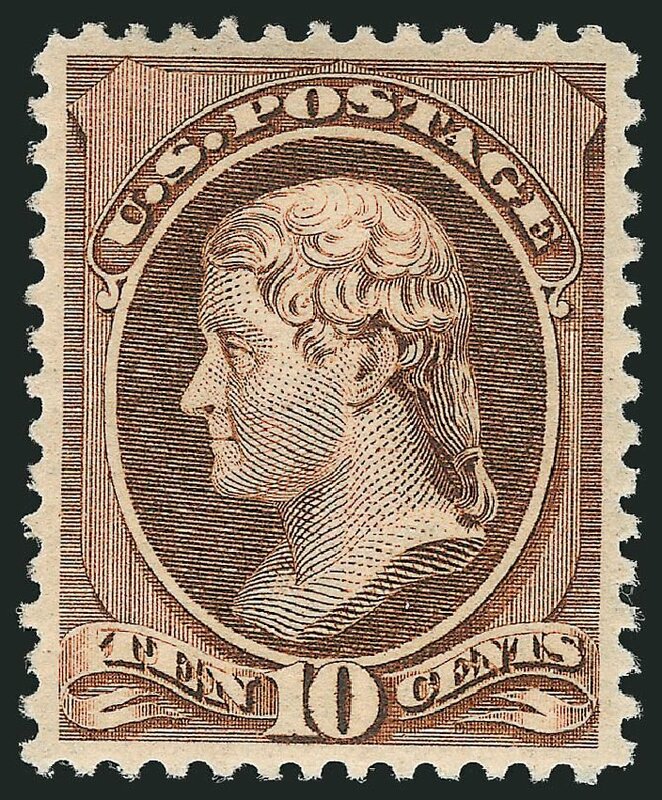 1882, 10¢ brown, re-engraved (Scott 209), o.g., never hinged, a fresh stamp in pristine mint condition with vivid color, Fine to Very Fine, with 2006 P.S.E. 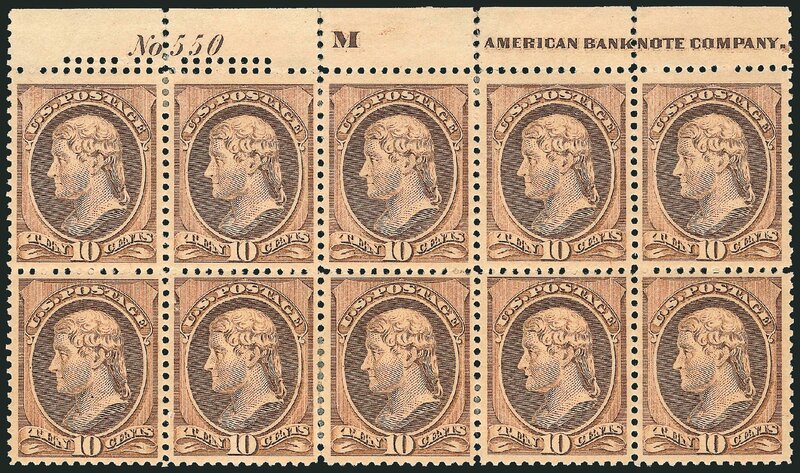 certificate graded F-VF-75. SMQ F-VF 75; $325. 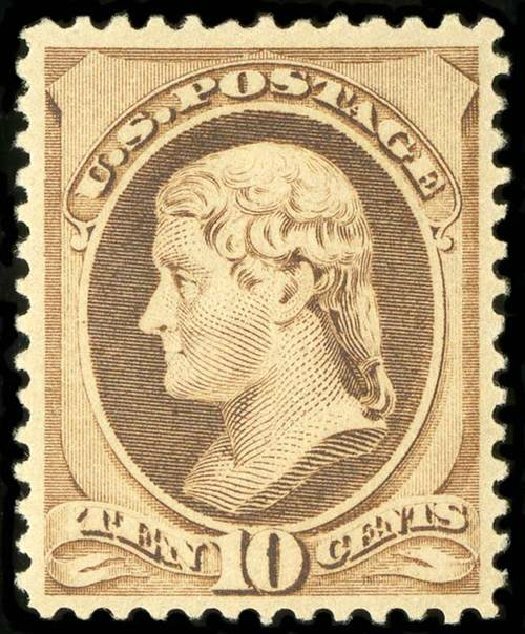 Scott $475. Estimate $250 – 350. 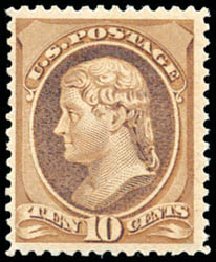 1882, 10¢ brown, re-engraved (Scott 209), o.g., lightly hinged, radiant color and sharp clearly etched impression, Fine to Very Fine. 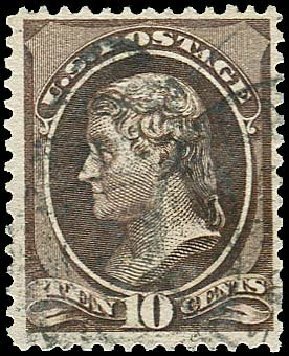 Scott $160. Estimate value $100 – 150. 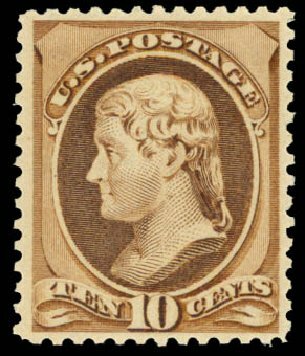 Scott #209, 10c Brown, lovely mint single with excellent centering, strong fresh color, o.g., lightly hinged, extremely fine; 1988 PF and 2010 PSE certificate (XF 90; SMQ $275.00). 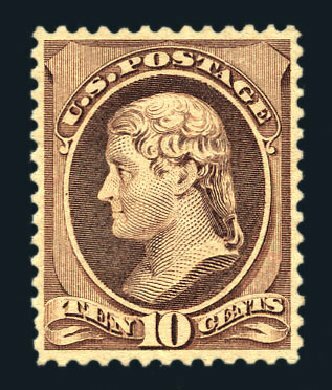 1882, 10¢ brown, re-engraved (Scott 209), o.g., never hinged, immaculate mint stamp with vibrant color, Fine. 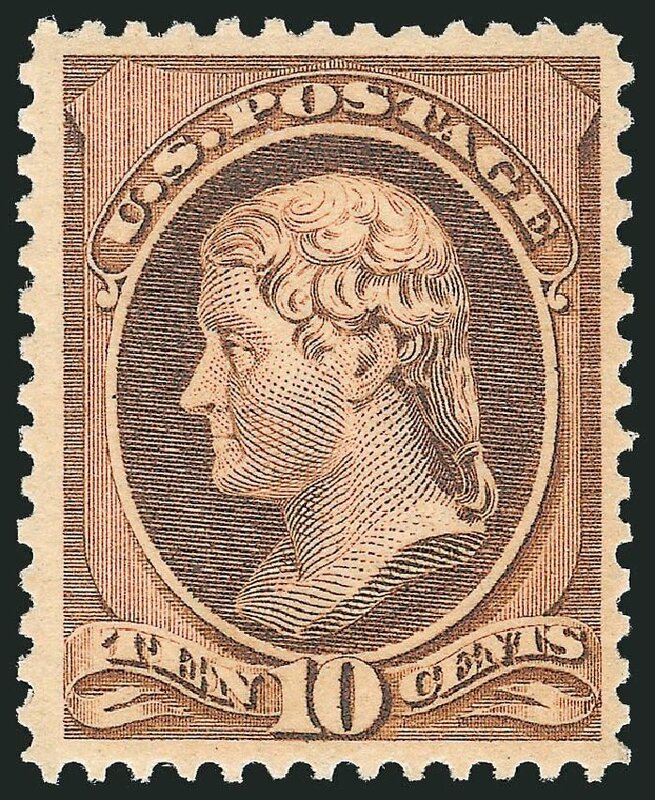 Scott $475. Estimate value $150 – 200. 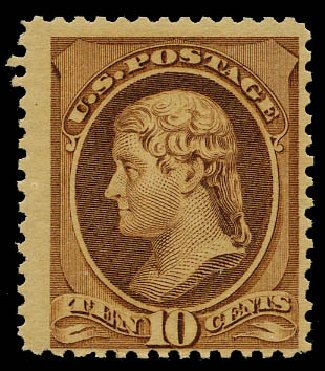 1882, 10¢ brown, re-engraved. O.g., never hinged, rich intense color, fresh and F.-V.F., with 1998 P.F. certificate. Scott No. 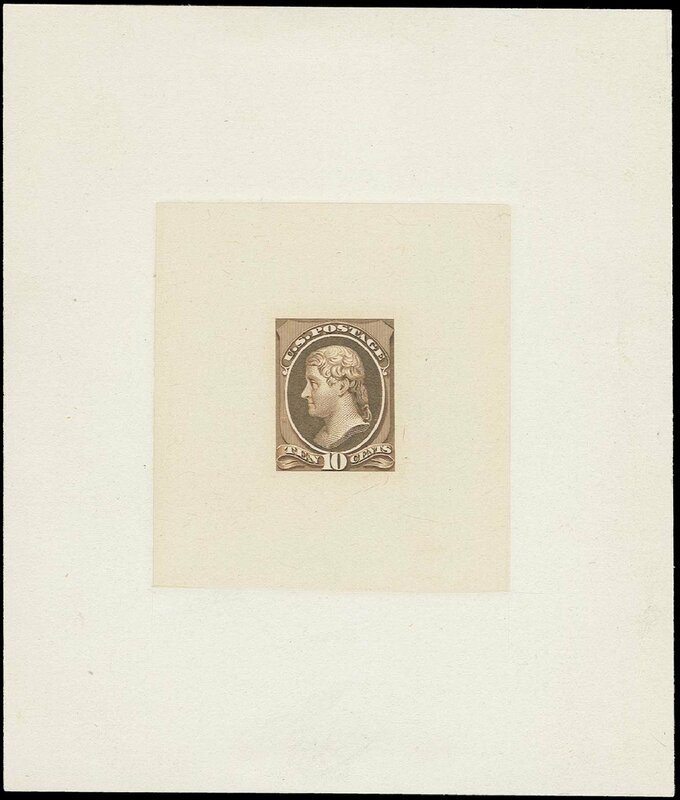 209; $475. 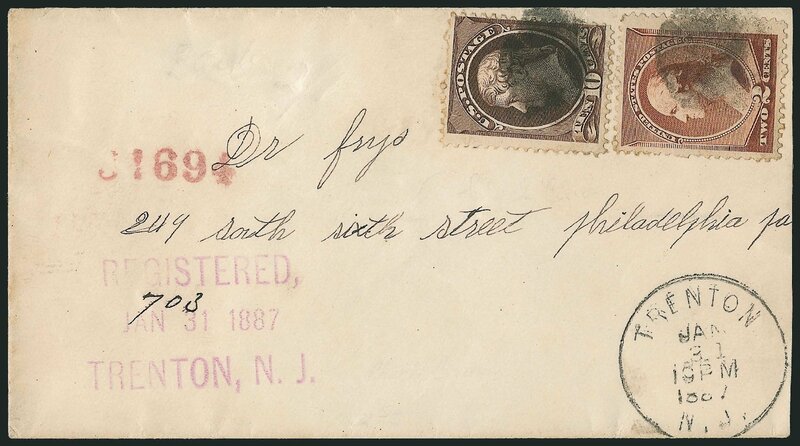 USA (Scott 209b) 1882 JEFFERSON BANKNOTE 10? 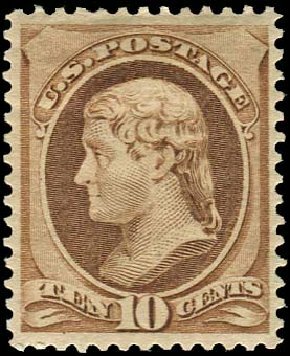 BLACK BROWN Attractive used example of this scarce stamp, deep, rich color, true black brown shade, fine to very fine. (2014 PSE Cert #01286572) Cat $350.